The world is not as stable as it was. The global economy went into a tailspin as stock markets around the world faltered. The ugly truth is anyone can experience a financial crisis. Losing job, health issues, car incidents, property damage, and so on don’t help either. These can have a negative impact on your budget, hence you’ll find yourself in a situation you haven’t prepared enough for. You’ll be able to handle the situation with ease or avoid it completely if you take the necessary steps to properly prepare for a possible financial crisis. It doesn’t hurt to be ready just in case, even though the circumstances that lead to financial problems can be avoided. Here are a few things to do to avoid a financial crisis. Lots of people neglect maintaining a good credit score, sometimes even without being aware of its negative impact. You may be denied a bank loan or be charged a very high interest rate when you need it the most because of a low credit score. You may not also get a good credit or debit card deal when you’re looking to settle your credit card debts. Your credit score may determine whether you’ll avoid a financial crisis or fall into one. That’s why you need to make sure your credit score is high and that you read your credit reports regularly in order make sure everything is in order. You may easily slip and make a crucial mistake that will cause your financial downfall if you don’t keep track of your finances. To determine just how much funds you have left until the end of every month, try to calculate your total income and deduct expenses, such as bills, maintenance and taxes. It will give you a better picture of your financial status and also help you identify ways to cut costs. You’ll be able to plan out your spending and even have little bit left over to save for a rainy day. You can either choose to write your budget plan down on paper or use modern software to help you track your finances as well. Having an emergency fund is one of the essential ways to avoid a financial crisis. If you manage to have a bit of cash left over after acquiring everything you need and covering your expenses, try not to spend it. Instead, put it in your emergency savings account and leave it there. You’ll have an emergency fund that will provide you with instant cash whenever you truly need it. In addition, if you find yourself in a situation where you need money for medical costs, car repairs or even paying for special occasions, but your emergency fund doesn’t cover the full amount, you can always apply for quick loans to cover the difference. You won’t get into too much debt and have to deal with it on top of whatever emergency caused it. The process to acquire a loan is done faster these days because of the convenience provided by the online application. Quickle offers this type of loan along with better customer service. If you are shopping for quick loans, Quickle can help you get the amount you need and the repayment terms that suits you. 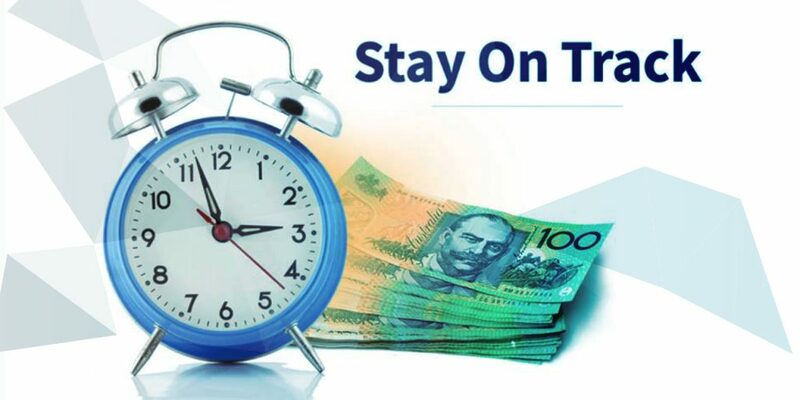 Paying bills on time can save you a lot of money, especially if you find yourself in financial difficulties. Many families are constantly late with their payments and pay extra fees and charges. Late payment fees can accumulate into a hefty sum at the end of the year and even hurt your credit score. Set time to revise your accounts and schedule bill payments at least a few days before they’re due. You can also schedule electronic payments and reminders to make sure you don’t miss any payments. You’ll still pay your bills as you normally would, but you’ll avoid extra charges and fees altogether. Avoiding a financial crisis can be more difficult than it sounds, but it is in no way impossible. If you track your income and expenses, as well as prepare for some unexpected circumstances, you’ll manage to handle any difficult financial situation.